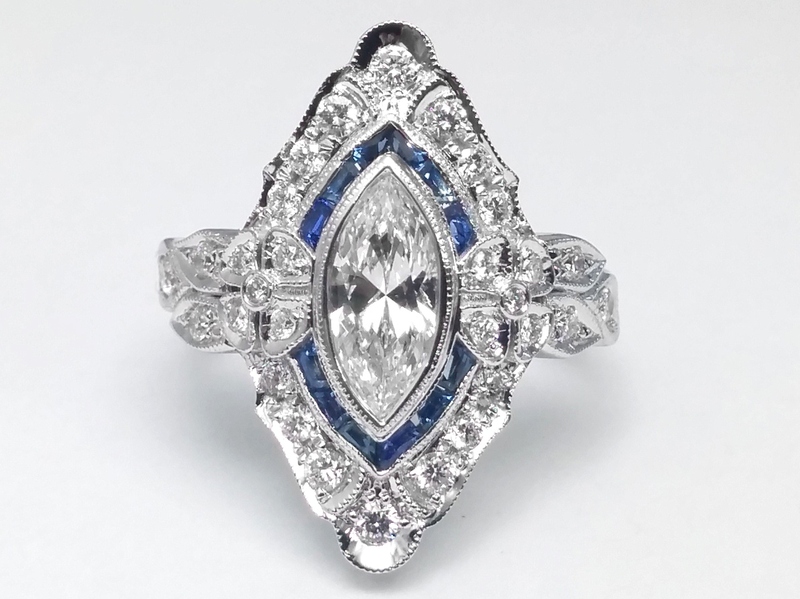 A gorgeous art-deco inspired engagement or anniversary ring setting for the 10 x 5mm marquise cut center stone of your choice. 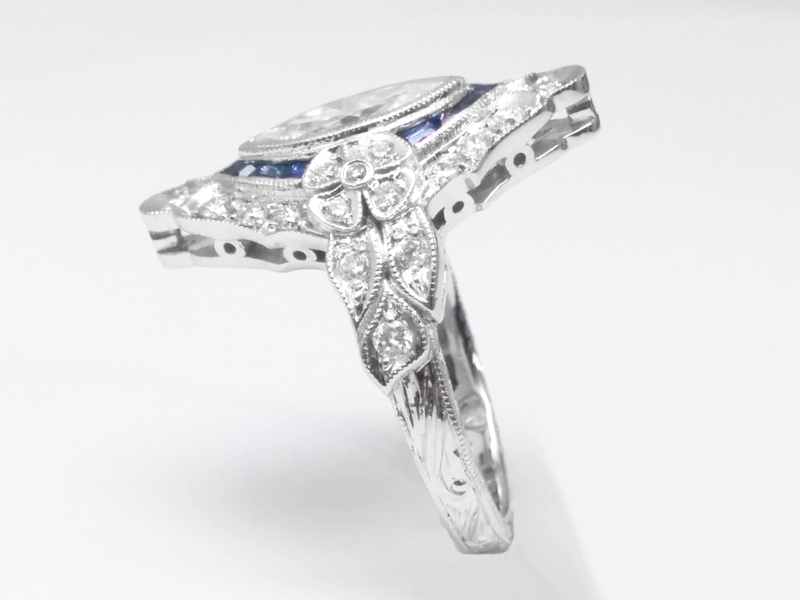 The ring features double halo of custom cut blue sapphires followed by pave set round diamond. There is a bow integrated in the halos outlined by diamonds and milligrain edges. 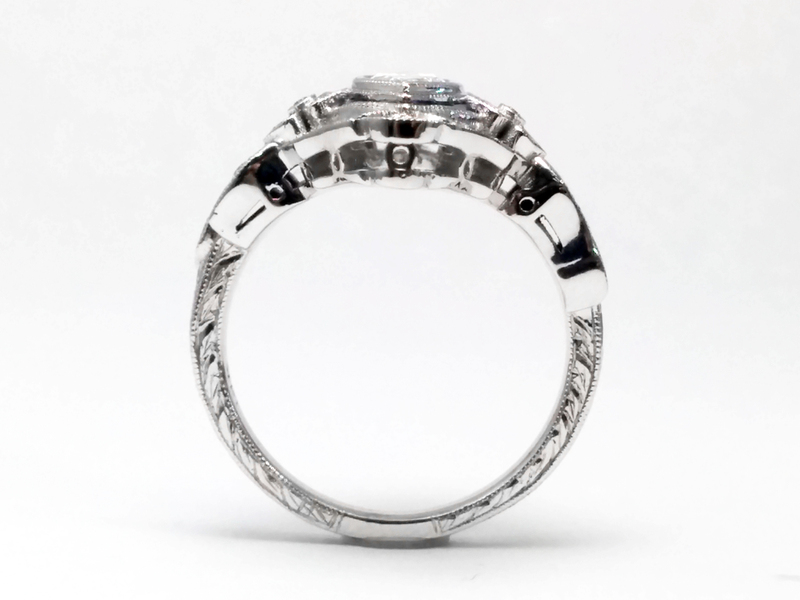 The band has three leave designs with diamonds and engraving. Customized for every diamond.